Missouri Education Watchdog: Fifth Grade Traditional Math Problem vs Common Core Math Problem. Fifth Grade Traditional Math Problem vs Common Core Math Problem. 2 + 2 = 4 is not a good enough answer in Common Core. Students will not get full credit unless they analyze, evaluate and create. 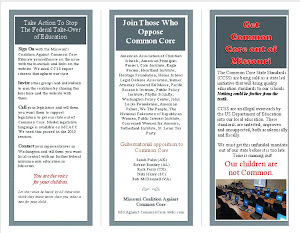 The New York State United Teachers urged the state education department to slow down the rush to testing the Common Core because neither students nor teachers are ready. NYSUT says: Don't test what hasn't been taught. But this is the strange thing. Open the link. Look at the old math problem. Look at the Common Core problem. I understand the old version. 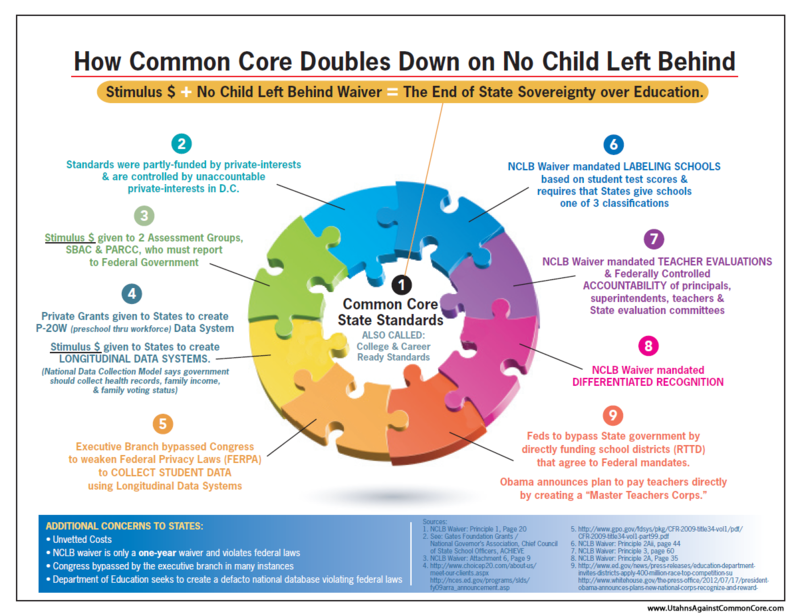 The new one--the Common Core example--doesn't make sense. Looked at it yesterday and just shook my head. Neither one of my reading disabled granddaughters would be able to figure out what is being asked, let alone determine all the processes that might have to be used. Why do we insist on such mean-spiritedness directed at our children?? Good tests should not be intentionally designed to confuse children. Nothing fair about this but what do we expect when one of last years’ assessment dealt with purple pineapples?!?!?! Is it a question that could be used to uncover children’s understanding of fractions, or is this an assessment of students’ ability to sit still, read carefully, and write clearly? The question itself is not problematic if it were to be used in a classroom setting in which explanation and justification were normative. Because there is likely to be a wide range of answers and reasons for those answers, this question might be useful for engaging students in rich classroom discourse. A teacher leading that discussion would be able to not only figure out who was having difficulty interpreting the text, but also figure out the children’s mathematical understanding based on the classroom discourse. Hence, it might be a really good assessment item that would provide the teacher with a great deal of information if used in a classroom setting by a qualified teacher. The problem is that questions such as this one will be used on a high-stakes test. In that setting, an incorrect answer may not have anything to do with the child’s mathematical understanding. Let’s suppose that the entire test consisted of questions such as this one. This item would not be useful in assessing the students’ MATHEMATICAL understanding about fractions, because the students’ answers to the task depends on the students’ ability to interpret text and to write a written explanation as well as the mathematics. Thus, the item might not be assessing mathematics. While the item fails on validity, that is still not the problem. The problem is that those invalid scores will then be used to evaluate our students, their teachers, and our schools. The Smarter Balanced summative assessments in mathematics are designed to measure the full range of student abilities in the Common Core State Standards or Core Academic Standards (CAS). Evidence will be gathered in support of four major claims: (1) Concepts and Procedures, (2) Problem Solving, (3) Communicating Reasoning, and (4) Modeling and Data Analysis. Claim 1 — Students can explain and apply mathematical concepts and interpret and carry out mathematical procedures with precision and fluency. Claim 2 — Students can solve a range of complex, well-posed problems in pure and applied mathematics, making productive use of knowledge and problem-solving strategies. Claim 3 — Students can clearly and precisely construct viable arguments to support their own reasoning and to critique the reasoning of others. Claim 4 — Students can analyze complex, real-world scenarios and can construct and use mathematical models to interpret and solve problems. Distracter: the incorrect response options to an SR item. Distracter Analysis: the item writer‘s analysis of the options or rationale for inclusion of specific options. Key: the correct response(s) to an item. Options: the responses to a selected-response (SR) item from which the student selects one or more answers. Scoring Rubric: the descriptions for each score point for an item/task that scores more than one point for a correct response. Stem: the statement of the question or prompt to which the student responds. Stimulus: the text, source (e.g., video clip), and/or graphic about which the item is written. 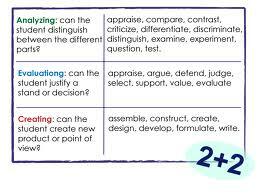 The stimulus provides the context of the item/task to which the student must respond. Task: similar to an item, yet typically more involved and usually associated with constructedresponse, extended-response, and performance tasks. Top-Score Response: one example of a complete and correct response to an item/task. Who wants to wager these type of math problems requiring high language skills and strong writing abilities will turn away children toward math and other STEM subjects while they are still mastering their math facts? Common Core Math has little to do with math and mastery of the mathematical process. "...The Smarter Balanced summative assessments in mathematics are designed to measure the full range of student abilities in the Common Core State Standards or Core Academic Standards (CAS). Evidence will be gathered in support of four major claims: (1) Concepts and Procedures, (2) Problem Solving, (3) Communicating Reasoning, and (4) Modeling and Data Analysis...."
"...Be sure you have read the Exception in the instructions for this line to see if you can use this worksheet instead of Pub. 525 to figure if any of your refund is taxable. 1. Enter the income tax refund from Form(s) 1099G (or similar statement). But do not enter more than the amount of your state and local income taxes shown on your 2011 Schedule A, line 5 . . . . . . . . . . . . 1. 2. Enter your total itemized deductions from your 2011 Schedule A, line 29 . . . . . . . . . . . 2. Note. If the filing status on your 2011 Form 1040 was married filing separately and your spouse itemized deductions in 2011, skip lines 3 through 5, enter the amount from line 2 on line 6, and go to line 7. 3. Enter the amount shown below for the filing status claimed on your 2011 Form 1040. 4. Did you fill in line 39a on your 2011 Form 1040? Multiply the number in the box on line 39a of your 2011 Form 1040 by $1,150 ($1,450 if your 2011 filing status was single or head of household). 5. Add lines 3 and 4 . . . . . . . . . . . . . . . . . . . . . . . . . . . . . . . . . . . . . . . . . . . . . . . . . . . . . . . . . . 5. 6. Is the amount on line 5 less than the amount on line 2? None of your refund is taxable. Yes. Subtract line 5 from line 2 . . . . . . . . . . . . . . . . . . . . . . . . . . . . . . . . . . . . . . . . . . . . . . . . . . . . . . . . 6. 7. Taxable part of your refund. Enter the smaller of line 1 or line 6 here and on Form 1040, line 10..."
, from the IRS 1040 form. What makes anyone think Common Core Mathematics is intended to actually enable children to learn, achieve, and excel in mathematics? There's only one overarching goal of Common Core Math - reduce "Achievement Gaps" by ensuring "Equalization of Educational Outcome." And the only way that can happen is by ensuring No Child Gets ahead. As long as the government controls the monopoly on K-12 education, American student achievement will continue to decline. 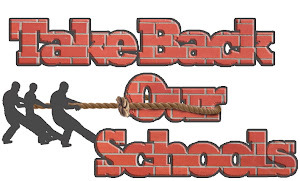 Again, it's all about equalization of outcome and preserving the monopoly on education. In that respect, Common Core is "winning." Bottom line is that the CCSS in math are designed to allow every student the opportunity to develop a strong conceptual knowledge of math by providing standards for practice that challenge student's thinking and helps them to deeply understand why math works, not just the how. Those students who have a specific interest and strong math aptitude should excel beyond what we have been able to do with them with a traditional instructional approach. A deeper conceptual knowledge of math? That's what you think CCSS'll give our kids? Through this? ">>>...Stanford mathematics professor R. James Milgram to withhold his approval from the Common Core math standards. The Common Core math standards deemphasize performing procedures (solving many similar problems) in favor of attempting to push a deeper cognitive understanding — e.g., asking questions like “How do you know?”<<<"
I'm all for questions... and deeper cognitive understanding... but a deeper cognitive and conceptual understanding of math will not be brought about by tacking on a "How do you know?" to a worksheet question, especially while drastically reducing the number of exercises the student engages in. And with apologies to every two bit seminar speaker on the circuit, there really is such a thing as a stupid question, and I see these questions coming home on worksheets every day... (correction, I used to see them coming home every day, very few worksheets come home anymore - same issue, different feature)... and asking 'Why' and 'How' questions of what amount to nearly perceptual facts, such as "How do you know?" that one number is larger than another, or how do you know that 2x2=4? are very, very, very stupid questions. Over the last couple months I've been reading through mathematics text books, stretching back over the centuries, and one development I've found, appearing and picking up speed just prior to the 19th century, is an increase in focus on developing 'math skills', and a decrease in discussion of why Mathematics has been thought of as being critically important since Plato's time. 'Math Skills' as any 4th grader will be happy to complain to you, can be performed on their cell phone faster than their teacher can perform them. Why bother? Competing with the Chinese doesn't is as useless of an answer today, as competing with the English was two hundred years ago. What's valuable in learning Math, properly taught, is what it fosters in us, which is partly the habit of thinking logically, but more importantly, if taught right, it develops the habit of thinking conceptually, it demonstrates the power of thinking in principles, and demonstrates how to derive those principles from a mass of particulars. That ability, is most definitely, not found in the math standards, or in the 'informational texts' standards, or in any other of the CCSS standards. They'll toss around the buzz words rather liberally 'conceptual understanding', etc, but they do nothing to actually promote conceptual understanding, let alone the value of principles, and a great deal to harm them. Bottom line, their bottom line came from the bottom of the cognitive barrel, and we would be wise to flush it. Double flush for good measure.